Is your Internet connecting and disconnecting after every seconds or minutes? If yes, this is the post for you. We have listed several solutions to this problem. Try them one by one until the problem is resolved. However, before start troubleshooting the internet keeps dropping issue, we recommend that you first make sure that this is not because of any computer issue. The simplest way to rule out computer issues is to connect any other device, such as a smartphone, tablet, or any other computer, to the internet connection with which this issue is occurring. In case the problem occurs with all other devices, you can safely conclude that the issue is with your DSL modem, cable modem, ISP or network router. On the other hand, if the problem occurs with only one device, you can safely conclude that there’s something wrong with that device. For instance, if you are facing the internet keeps dropping issue with only your computer, not smartphone or tablet, there’s some problem with the former. You should check if for any operating system related issues or hardware related issues. This is because such issues can cause problems with the Internet connection. Now let’s check the solutions to this problem. In case of an unstable internet connection, you may want to contact your ISP provider and check if there’s some problem at their end. The technical support of your ISP provider can perform system checks as well as line checks to rule out any problem at their end. We recommend you check with your ISP provider first, before attempting any other solution given in this post. In case your cable modem is unable to maintain a stable connection, you might be able to resolve the issue through power cycling. We recommend you first power off your computer. Then disconnect the cord to turn off your cable modem. Leave the cord unplugged for a small while, minimum 10 seconds. Now plug the cord back into your cable modem, which will use a few mins to complete all self-checks and establish Internet connection. The front of your cable modem will have Internet connectivity indicator. Watch out for it. When this indicator illuminates, plug in the router. Next, power on the computer. Now check if the internet connection is steady. You need to reset your router. First shut down your computer. Then unplug the cord and wait for a little time, 10 seconds or more. Now plug the cord back. Wait until indicator lights in the front of your router stop blinking. When the lights stop blinking, it means the router has run all self-checks. Now, power on the computer. Check if your internet connection is steady. If none of these 3 solutions are able to solve the internet keeps dropping problem and if other devices, such as your smartphone, is able to connect with the internet, you should try the solutions given below. You can encounter internet keeps dropping issue if your network card drivers are missing or outdated or corrupt. Updating the drivers can help fix the issue. 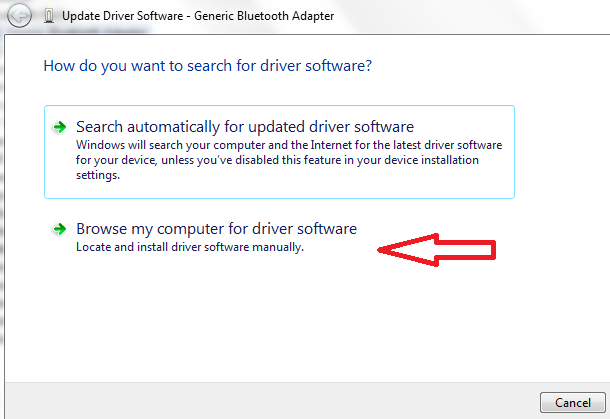 You can update drivers manually or automatically. We recommend the second option because it is quick and easy. Plus you don’t need any technical knowledge. 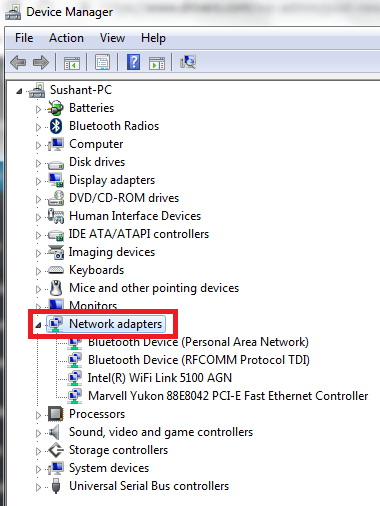 However, we’ve listed both manual and automatic method to update network card drivers. Another way to update network card drivers is to go to the network card manufacturer’s website and search for the latest driver. Make sure the selected driver is compatible with your version of Windows. Next download the executable file. Once that’s done, double-click it to run it. Follow the onscreen prompts to install the driver and then finally reboot Windows for changes to take effect. You don’t need any sort of technical knowledge to update network card driver when you use a driver update software tool. We recommend you use DriverDownloader. Click the green button below to download DriverDownloader. You can download, install, and run it for free. When you run it, you get a free driver report. However, to get automatic driver updates, you need to register the software. You get access to customer support when you register DriverDownloader, which comes with a 30-day money back guarantee. It is possible that some system files of your PC have become corrupt, which in turn might be causing internet keeps dropping issue. In case this connectivity problem is quite recent, try restoring Windows to an earlier point before this issue appeared. When you restore Windows to an earlier point, it replaces corrupt files with non-corrupt files. To restore Windows to an earlier point, use System Restore. Here are the steps to follow. Although rare, it is possible that a virus or spyware infection might be causing the internet keeps dropping issue. This can happen if virus infection is very severe. If the previous steps failed to fix the issue, we recommend you run a virus scan on your pc. It would be best if you run a boot scan. However, please note such a scan can take a long time, so run it only when you can afford to stay away from your computer for a couple of hours. In case the internet connectivity problem still remains, you modem or router or network card may be defective. You may need to purchase a new modem or router or network card to fix the internet keeps dropping issue.